NEW GENUINE ACER ASPIRE ONE "AOA 110 - Ab". 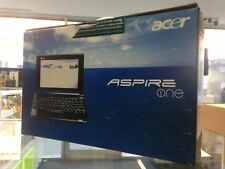 Aspire One! For people who want to stay productive on the move, the Work section on the Aspire One has built in software that allows you to do everything from writing letters and doing basic spreadsheets to running a presentation. ACER TRAVELMATE P2510 15.6" i5-7200U 2.5GHz RAM 8GB-SSD 256GB-LINUX ITALIA NERO NX.VGAET.026. 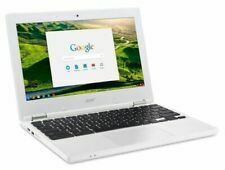 Acer TravelMate P2510-M-5412. Tipo di prodotto: Computer portatile, Fattore di forma: Clamshell. RAM installata: 8 GB, Tipo di RAM: DDR4-SDRAM. 15.6" i5-7200U 2.5GHz RAM 4GB-HDD 500GB-LINUX ITALIA. 331 9592819 - WhatsApp! Serve aiuto?. La non osservanza di questi principi rende inapplicabile il diritto di recesso. Ai sensi dell'art. 5 del D. Lgs. Acer Extensa 15 2540-389Z - Core i3 6006U / 2 GHz - eLinux - 4 GB RAM - 500 GB HDD - masterizzatore DVD - 15.6" 1366 x 768 HD - HD Graphics 520 - Wi-Fi, Bluetooth - midnight black - tast: Italiano. 331 9592819 - WhatsApp! 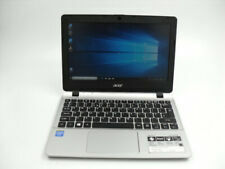 ACER - ACER NOTEBOOK EX2540-389Z 15.6" i3-6006U 2GHz RAM 4GB-HDD 500GB-LINUX ITALIA (NX.EFHET.011). Sistema operativo incluso Linux. RAM installata 4 GB. Tipo di RAM DDR4-SDRAM. RAM massima supportata 16 GB. 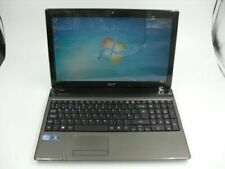 ACER - ACER EXTENSA 15 2540-322Y 15.6" i3-6006U 2GHz RAM 4GB-HDD 500GB-LINUX ITALIA (NX.EFHET.025). ACER EX2540-51V7 15.6" i5-7200U 2.5GHz RAM 4GB-HDD 500GB-LINUX ITALIA (NX.EFHET. ACER - ACER EX2540-51V7 15.6" i5-7200U 2.5GHz RAM 4GB-HDD 500GB-LINUX ITALIA (NX.EFHET.010). Sistema operativo incluso Linux. RAM installata 4 GB. Tipo di RAM DDR4-SDRAM. RAM massima supportata 16 GB. ACER - ACER TRAVELMATE P2510 15.6" i5-7200U 2.5GHz RAM 8GB-SSD 256GB-LINUX ITALIA NERO (NX.VGAET.026). ACER TRAVELMATE P2510 15.6" i5-7200U 2.5GHz RAM 8GB-SSD 256GB-LINUX ITALIA NERO (NX.VGAET.026).